With the summer nearing, holiday plans are becoming more and more definite. In order to help visitors from the world over pick their perfect holiday destination, global news and travel portals have published their guides to the top destinations of 2011. The Adriatic mix of sun and sea, gorgeous beaches, cultural heritage and the slow perfection of the Mediterranean rhythm has found its way to many of these lists. Dubrovnik, often mentioned as the pinnacle of Croatian tourism, was included by Trip Advisor in their list of 25 most highly recommended destinations of Europe. 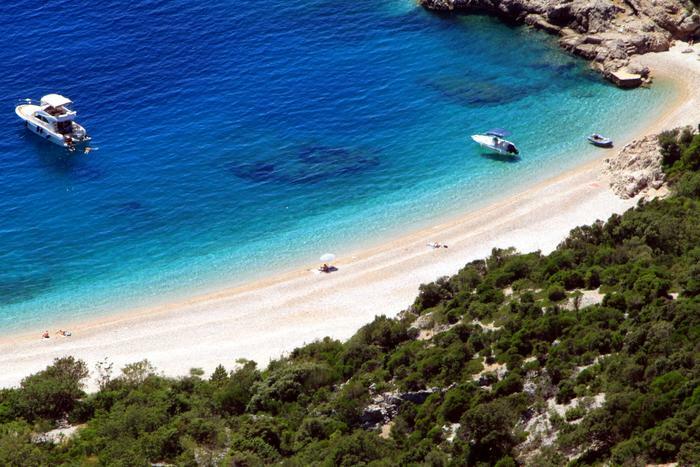 The Adriatic beaches, known far and wide, were recognized by the German Bild, listing the Zlatni rat beach on the island of Brač and Lubenice on Cres amongst the most attractive beaches worldwide. CNN has dubbed Rab island "the birthplace of naturism" and recommended three of its beaches as ideal havens for nudists, in which context Rovinj's Valalta beach was likewise singled out. The littoral region was by no means the only part of Croatian natural wealth whose fame spread far beyond her borders. Velebit, the mountain which is home to as many as two national parks, was recommended by The Guardian to their readers, and it is impossible to even list all the praise lavished on the Plitvice Lakes. The sixteen lakes gushing into picturesque waterfalls were named "unmissable" by the National Geographic, CNN, as well as Hello and Budget of Britain. These destinations are only some of a great number which have found their way to the listings of the world's elite. It is up to you to narrow down your choice until you decide on your ideal holiday spot in Croatia.